London, England. Publisher: Friendship Centre. 1/1, January-March 1934. 6 pence an issue, 32 pp. The journal was illustrated with plates of the welcoming Friendship Centre's reading room in London in every issue, and regular inspirational drawings by Miss Joan Henne, complete with explanations of the same through the mediumship of Frederick L. Brown (himself an inspirational artist), and included talks by Stephen Foster and by Shaw Desmond (whose Survival League was incorporated with the Friendship Centre), and articles on astrology in every issue. The journal well illustrates the uncertain twilight periphery that spiritualism found itself in at the time, caught between materialism and the strange contemporary growths of its opponents. "The influence of Spiritualism is certainly making itself felt, as witness the lay Press; some of the seeds planted will, no doubt, bring forth strange fruit, and certainly we can well afford to laugh at some of the peculiarities even of the 'wholesome berries.' The freak cults which fringe the 'orchard' are of mushroom growth and will do no harm. Perhaps strangest of all are the antic gropings of the materialists, now face to face in a public arena with unanswerable facts. . . . Whatever Spiritualism's future may be, materialism is giving ground steadily, and its followers will find that they have built their house on something far more shadowy and far less substantial than the 'ghosts,' whose existence they deny." Listed in James Leigh, Manual and Who's Who of Spiritualism and Psychic Research (London: Francis Mott Co., 1936). 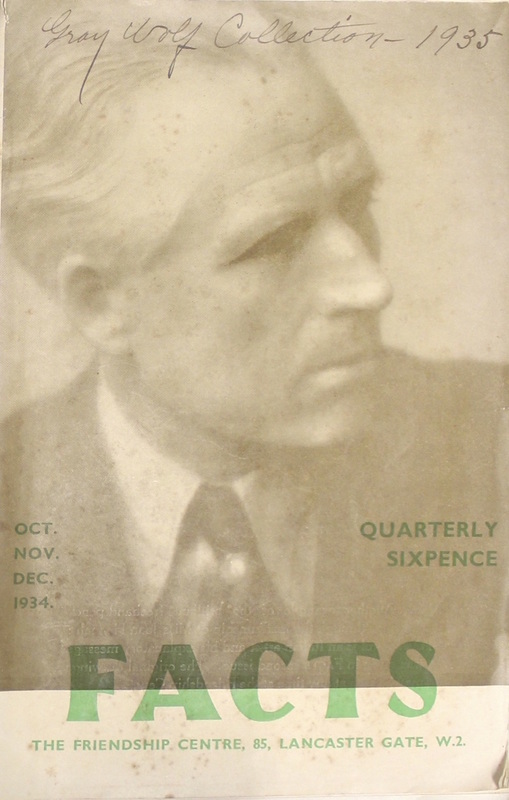 BL has an Illustrated Supplement to the journal, 1937.